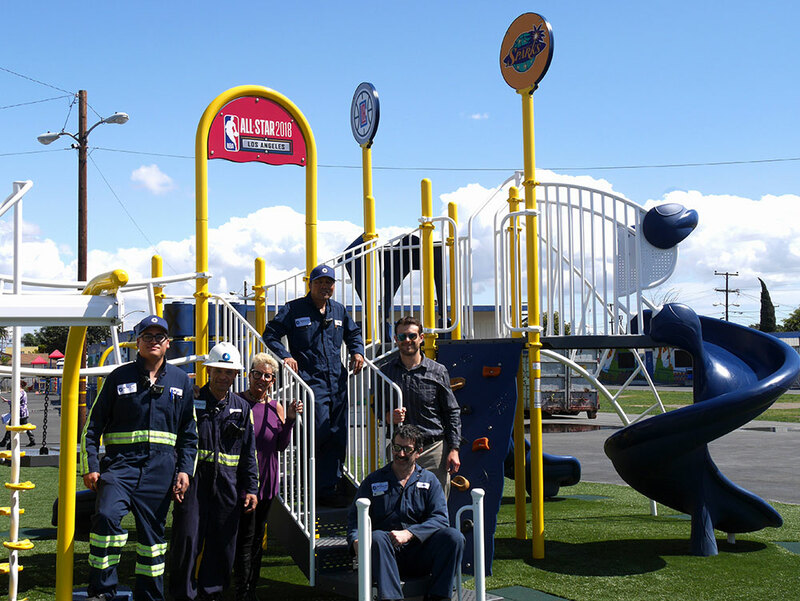 World Oil Works with NBA to Build a Playground for Students - World Oil Corp. The National Basketball Association (NBA) through its organization “NBA Cares” donated money towards creating a playground for the students of Jefferson Elementary School in Compton. As part of this massive effort, World Oil Employee’s gave both of their time and their know how. The school had been pursuing the development of this project for a long time, but it took the NBA’s assistance to turn this dream into a reality. NBA Cares is the league’s global community outreach initiative which focuses on education, youth and family development and health and wellness to provide a positive impact on children worldwide.